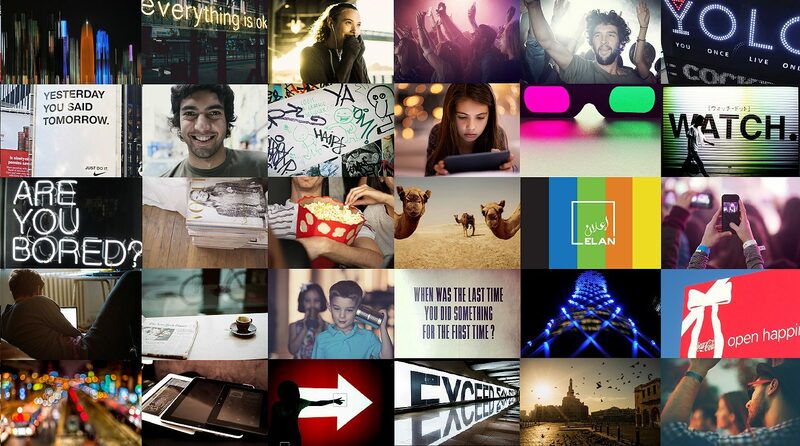 With its new brand name ‘ELAN’ meaning ‘Advertise’ in Arabic, the group already had a brand proposition. Grow focused on bright blues, greens, oranges and yellows to categorise its sub-brands and reinforce its modern credentials, while ensuring its compatibility with digital platforms. This need was also noted in the logotype design and the boundaries of the linear advertising/media ‘space’ of its new identity.